This study aimed to assess visceral adipose tissue (VAT), an established marker for cardiometabolic complications, in elite rugby union athletes, with specific consideration given to ethnicity. The ability of dual-energy X-ray absorptiometry (DXA) to estimate VAT in athletic populations compared to the criterion magnetic resonance imaging (MRI) was also explored. Thirty elite male rugby union athletes (age 23.9 ± 4.0 years; stature 186.7 ± 7.0 cm; mass 101.9 ± 11.2 kg) underwent assessment via DXA for body composition, and MRI for abdominal adiposity, at the start of the pre-season training period. Participants were ascribed a specific ethnicity when three or more of their grandparents were of either Caucasian or Polynesian descent. MRI VAT did not differ between ethnicities (Caucasian 92.7 ± 26.7 cm2; Polynesian 86 ± 27.3 cm2; p = 0.52); however, there was a trend for forwards (96.7 ± 25.0 cm2) to have higher VAT than backs (81.7 ± 27.3 cm2; p = 0.13) which provides an area of interest for researchers. Thirty-seven percent of athletes (eight forwards, three backs) were found to have VAT > 100 cm2, a threshold for increased cardiometabolic risk within the general population. Bland–Altman analysis indicated that DXA VAT underestimated MRI VAT by ~ 25 cm2, with relatively wide limits of agreement (− 24.0 to 75.6 cm2). 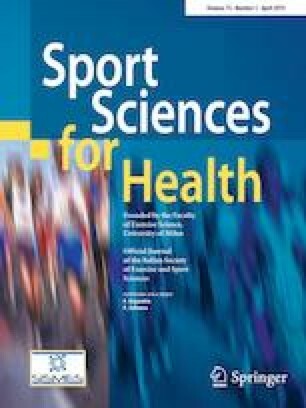 Given the size of rugby union athletes, and the association between elevated VAT and cardiometabolic complications in “supersized” athletes from other sports, further investigation into VAT and other markers of cardiometabolic disease in rugby union populations is warranted. Further, DXA was found to underestimate VAT compared to the criterion MRI in this athletic population. SEK has received project-specific funding from Exercise and Sports Science Australia and Diabetes Australia Research Program for unrelated work. SEK is supported by the National Health and Medical Research Council (NHMRC) of Australia via an Early Career Research Fellowship (122190). All participants gave written informed consent before participating in the study. All participants provided informed consent to partake in the study, and the protocols for testing on human subjects were submitted to, and approved by, the Human Ethics Committee of the University of the Sunshine Coast (EC00297, S/12/424).